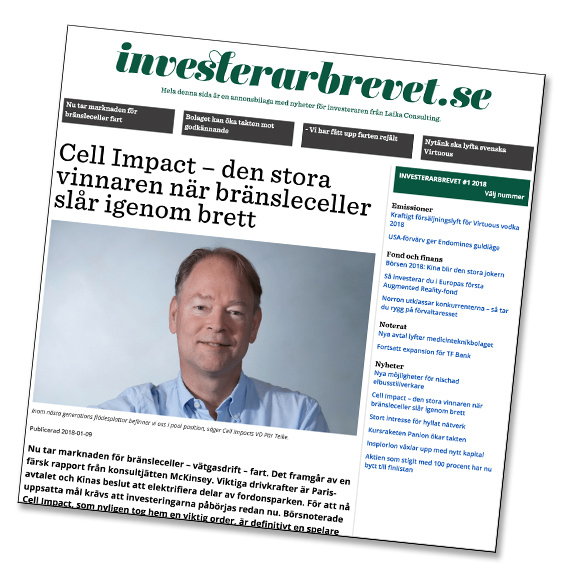 Investerarbrevet.se has published a short article about Cell Impact and the state of the fuel cell market. Please go ahead and click the links if you’re interested in what we do and our mission to produce the next generation of bipolar flow plates for hydrogen fuel cell stacks. And sorry – it’s in Swedish only (but click here for an automatic Google translation).